In this collection of four videos you’ll discover some of the techniques Linda and Laura use to introduce fascinating texture, colour and pattern to their quilts. You’ll see how they use basic utility stitches on their sewing machines in innovative and unpredictable ways and how hand worked embroidery stitches can be used to bring exciting, painterly colour effects to an art quilt. 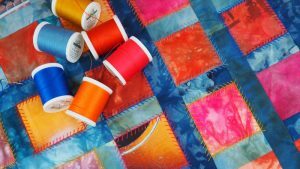 Forget free motion machine quilting and simple running stitches for a while – this is an unmissable collection of creative ideas that will increase your repertoire of art quilting techniques! Play with colour, add decorative detail and texture, all with your quilting. Join Linda to see how she uses embroidery stitches to quilt. 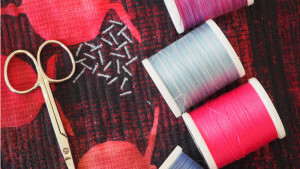 Explore the creative potential of the utility stitches on your sewing machine. In this demonstration, Laura experiments with automatic buttonholes. 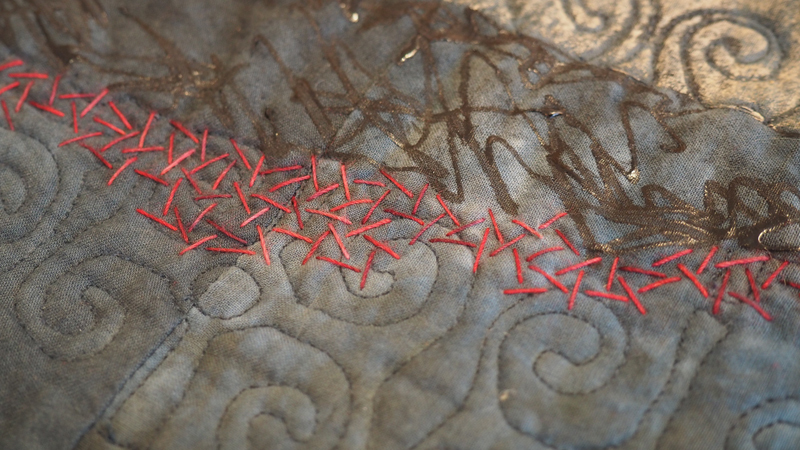 If seed stitching by hand is just too time-consuming, why not try doing it by machine instead? In this workshop Laura shows you how. Simple stitches are often the most useful. In this workshop Laura explores the versatile Seed Stitch.